We'll see you back on the mat Monday, Oct 22nd, 2018, when our regular schedule resumes. 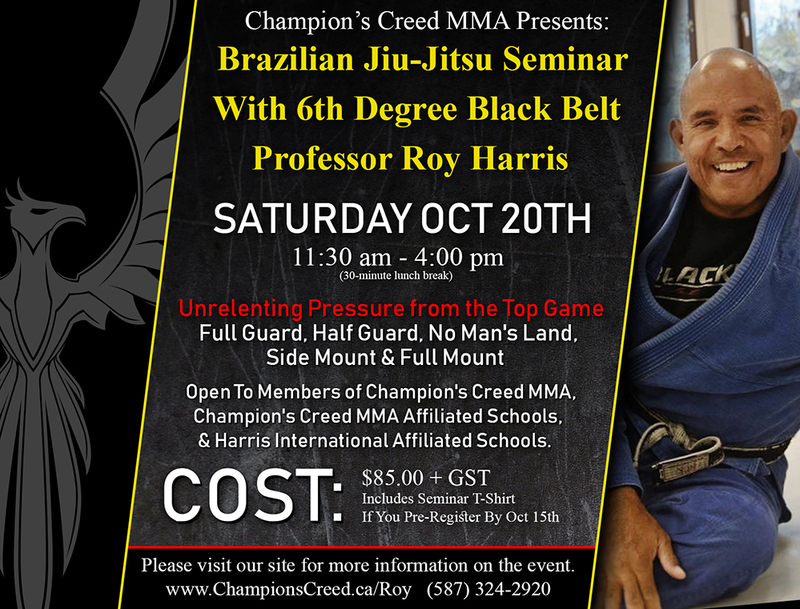 Roy Harris started training in Brazilian Jiu-Jitsu in 1991, and Champion's Creed Martial Arts has been an associate club of Harris International since 2001. Open to members of Champion's Creed MMA and affiliated schools, as well as Harris International affiliated schools. Includes a Seminar T-shirt if you pre-register by October 15th.